Pictured, front from left: Leah Spilman, Grace Hinojos and Bel Snyder; back from left: Alex Gould, Caitlin Savage, Nele Sprunk, Jeronimo Vallarta, Bereket Loer, Lucas Hinojos and Cole Pearson. WDC Business Professionals of America (BPA) competed at the Region 6 competition in Detroit Lakes recently and several qualified for State BPA on March 8-10 in Minneapolis. 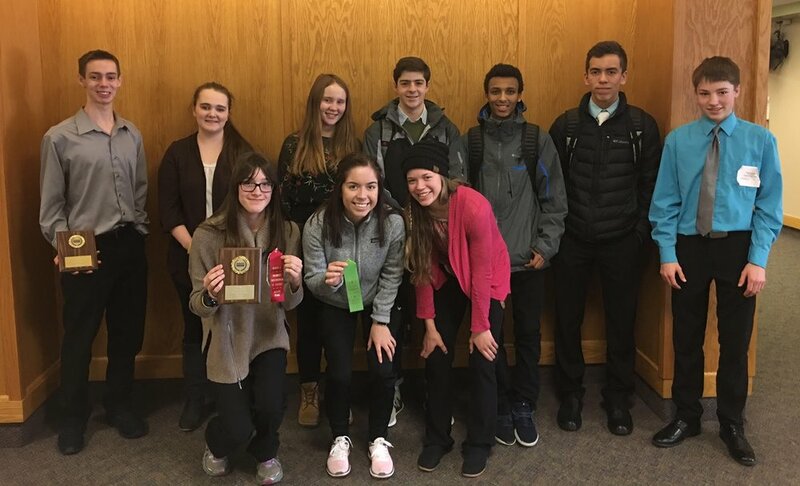 Other BPA students who competed at Regions included Caitlin Savage, Bel Snyder, Nele Sprunk, and Jeronimo Vallarta. Shayne Haustveit serves as WDC's BPA advisor. Approximately 200 students competed in this event. Way to go, BPA students! WDC robotics kick off 2018 season!